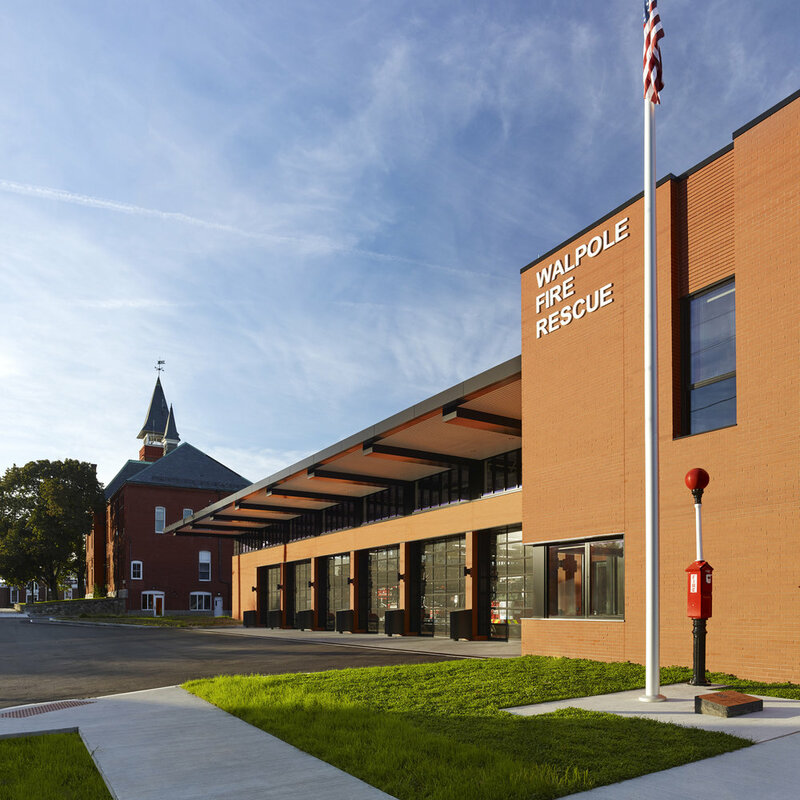 Schwartz/Silver worked with the Town of Walpole, MA to design and construct the town’s new Central Fire Rescue Station. Located in the center of Walpole in the same Stone Street location as the old station, this project required construction of a temporary four-bay apparatus tent with bunking as swing space while the new facility was being built. The new station combined Walpole’s satellite stations into one larger, centrally located station. 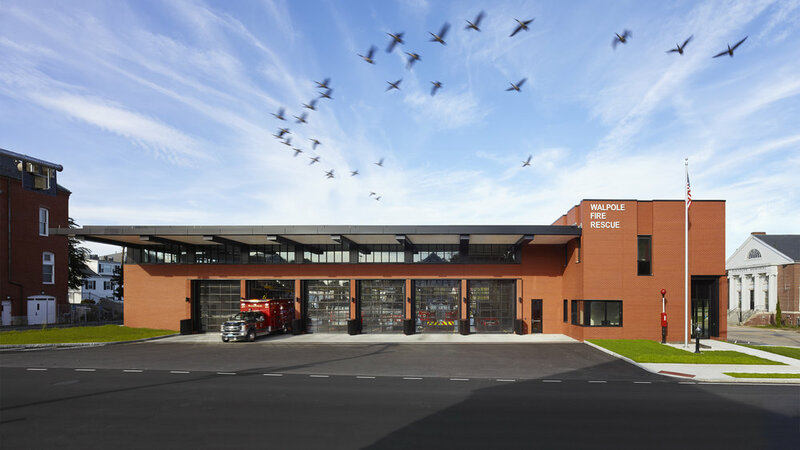 This new 22,000-square foot station includes six double-depth apparatus bays, firematic support spaces, eleven firefighter bunk rooms, a firefighter kitchen and day room, headquarters administration and fire prevention offices, and a training and exercise mezzanine. Schwartz/Silver was able to meet the tight nine-month design schedule and deliver bid documents to allow for bids to be presented at Fall 2016 Town Meeting. The General Contractor bids came in nearly 10 percent under budget and the project was approved unanimously. 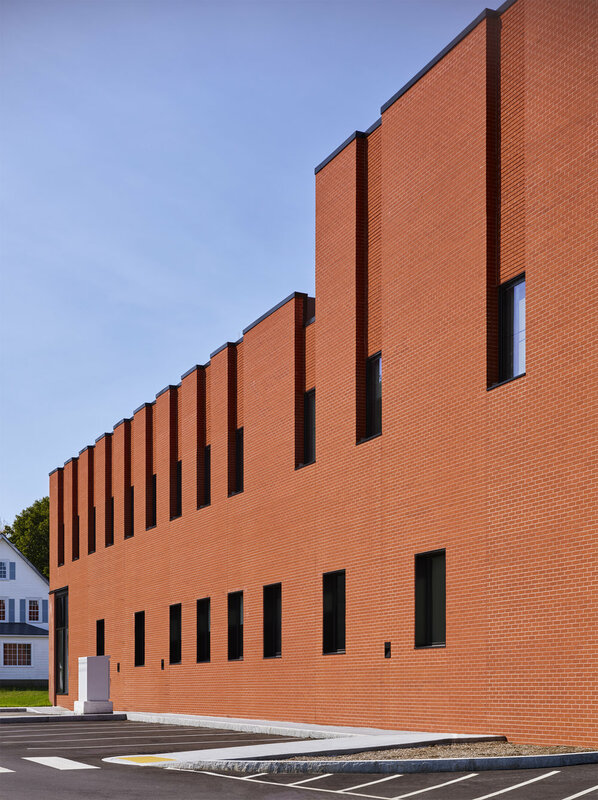 The Central Fire Station opened on schedule in the spring of 2018. Structural Engineer: Becker Structural Engineers, Inc.